Kind of funny how this and the last entry are both about the Simpsons when they really haven’t been relevant to me in over a decade (and in both cases, the focus of each project was on the first 10 or so years of the show), but here it is. 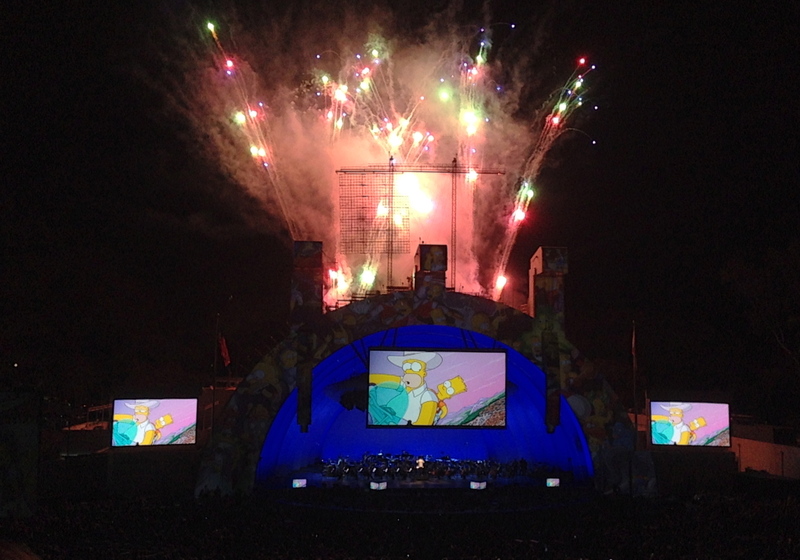 Last weekend I was able to see The Simpsons Take the Bowl, a live event honoring animations first family at the Hollywood Bowl. It was a three-night activation and I attended on the first night. Hosted, ostensibly, by Hank Azaria (busting out live his characters of Apu, Moe, and Wiggum, among others). He was joined by show creator Matt Groening who introduced the evening, and fellow cast members Nancy Cartwright (Bart, and others) and Yeardly Smith (Lisa). Guest stars included Beverly D’Angelo, Conan O’Brien, Jon Lovitz and more). When I moved to LA nearly 20 years ago (!! ), Georgina was one of my very first, true deep friends. It’s nice to know that after a few years apart we can still pick back up as if no time has passed and she has no qualms about letting me borrow her glasses to read the menu. Never forget who the good ones are. I think this guy has an asthma problem. Putting our feet to the fire. 0 miles to go! Forget that when you drive a car you have to refuel. Really should pay attention to these things.